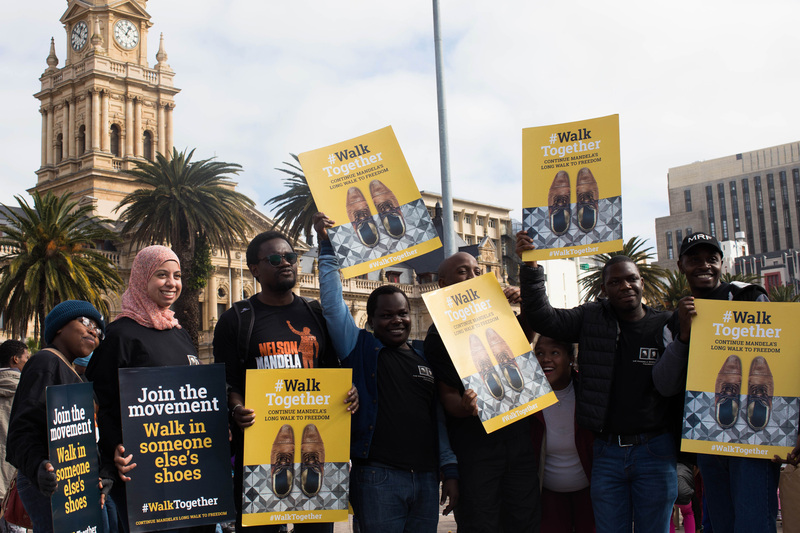 On 18 July 2017, The Elders launched #WalkTogether, in solidarity with courageous community members working for the freedoms to which Madiba dedicated his life. 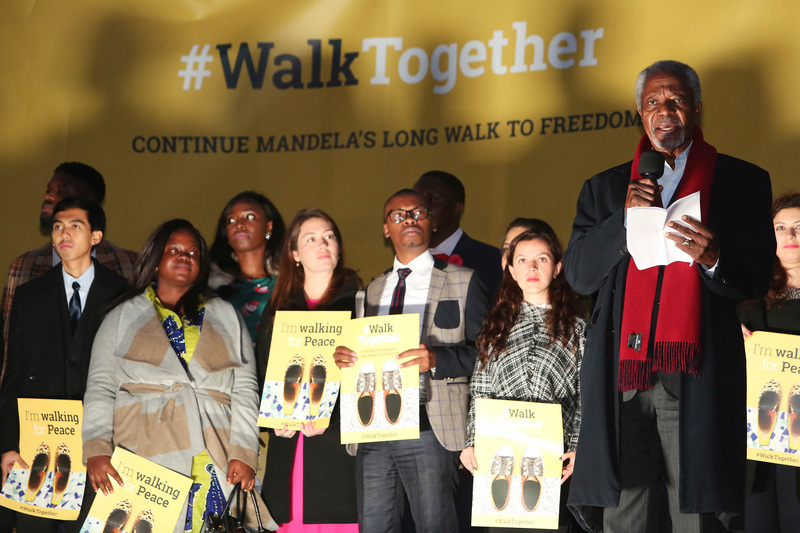 This kicked off a year-long global campaign to encourage communities around the world to continue Mandela’s long walk to freedom. 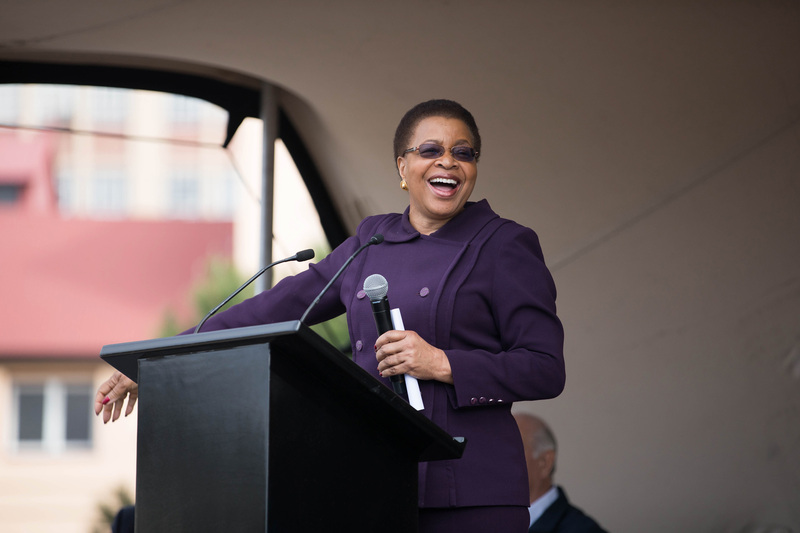 Graça Machel welcomed the the crowd that came from around the Cape Peninsula, urging them to join The Elders to #WalkTogether. She was joined on stage by her fellow Elders Martti Ahtisaari, Gro Harlem Brundtland, Hina Jilani, Ricardo Lagos and Mary Robinson, as well as civil society leaders and activists including Kumi Naidoo and Andile Gaeliswe. On 23 October 2017, the Elders joined young leaders in a symbolic walk through central London for peace, tolerance and solidarity. Kofi Annan addressed the crowd in Trafalgar Square, reminding them: "You are never too young to lead". On 8 November 2017, Gro Harlem Brundtland and Ban Ki-moon launched the next focus of the #WalkTogether campaign, Walk to Health, at the Bellevue Hospital in New York. 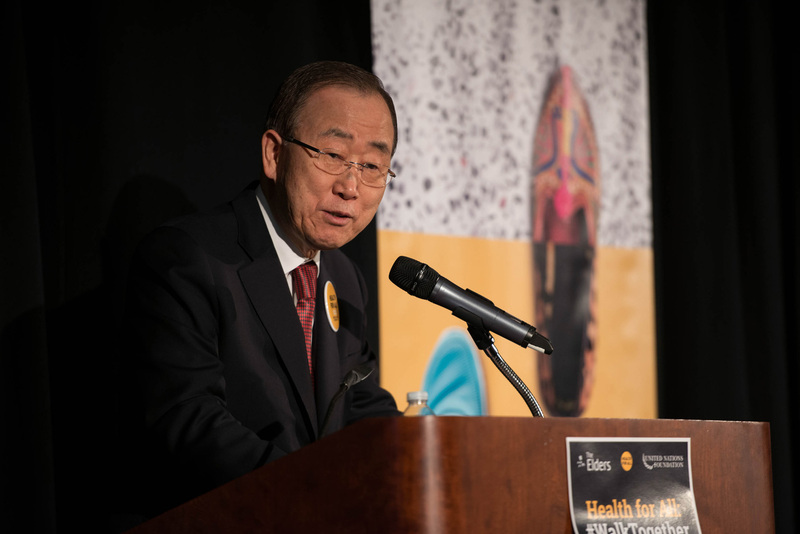 The historic gathering of policymakers, healthcare professionals and civil society marked the first time the global campaign for Universal Health Coverage engaged with the US health debate. 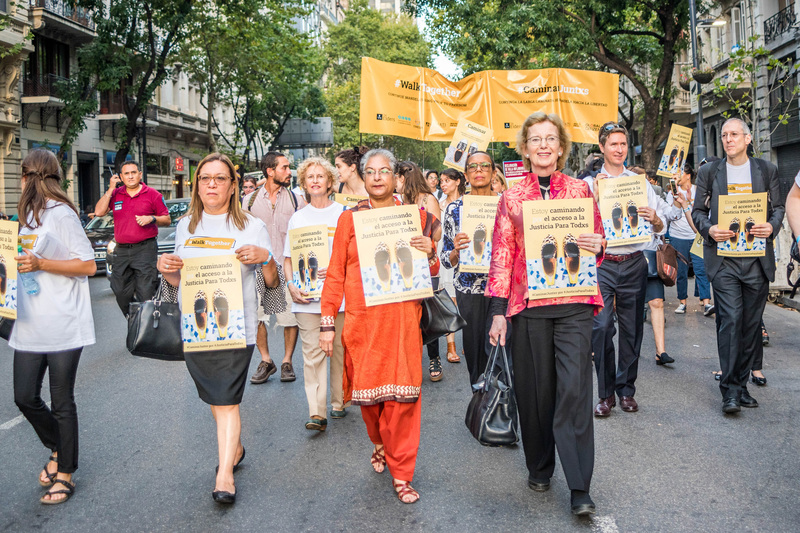 In February 2018, Hina Jilani and Mary Robinson joined grassroots justice defenders in Buenos Aires to demand equal access to justice for all. They walked alongside many incredible women and men, who had joined together to ‘tip the scales’ of justice towards those who need it most – including women, minorities and other marginalised groups. Together with the Fight Inequality Alliance and Atlantic Fellows for Social and Economic Equity, #WalkTogether convened academics and grassroots activists to debate with the Elders on how best to tackle all forms of inequality and deliver sustainable systemic change in April 2018. 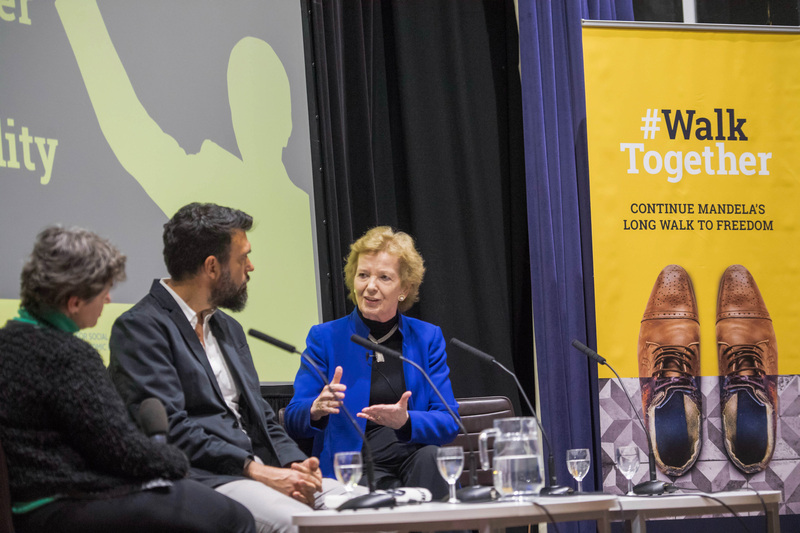 Mary Robinson joined Christiana Figueres and Hector Castañón at the London School of Economics. 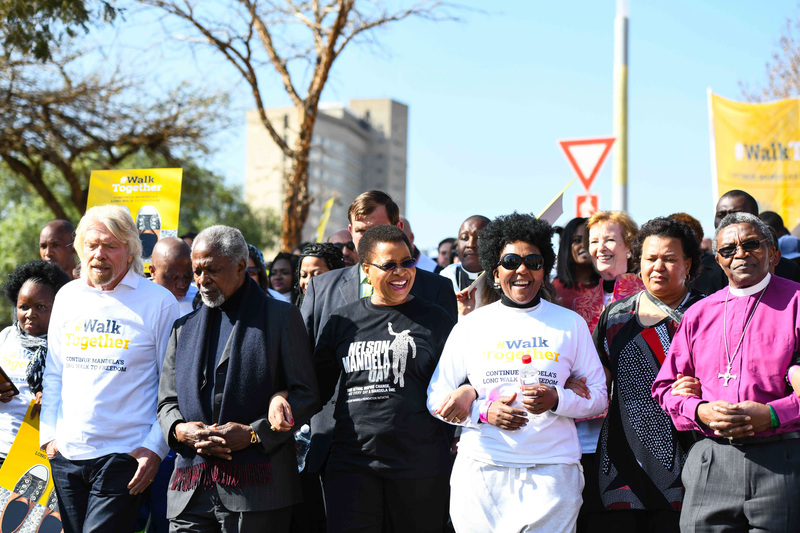 The Elders marked Mandela Day in July 2018 by leading a symbolic walk through Johannesburg with Spark of Hope organisations who work for the freedoms Madiba dedicated his life to achieving. They then hosted an event at Constitution Hill with Sparks of Hope and civil society on how peace, health, justice and equality can be strengthened to leave no one behind. 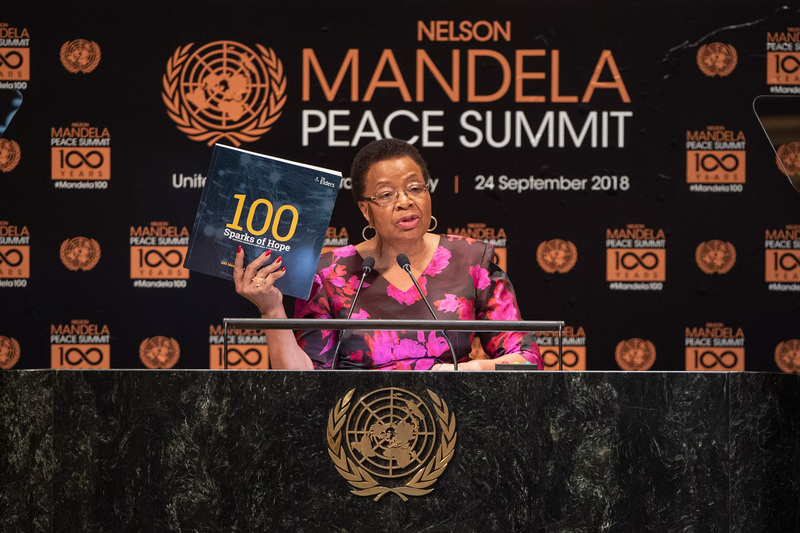 On 24 September 2018, Graça Machel addressed the Nelson Mandela Peace Summit at the 73rd UN General Assembly. She presented 100 Sparks of Hope organisations who continue Mandela's long walk to freedom through their courageous work.